Today, the mature grove is home to more then 10 varieties of olives. 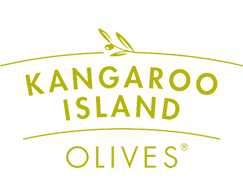 Major cultivars including Koroneiki, Frantoio, Leccino, Pendolino and Kalamata are harvested each year to produce award-winning Extra Virgin Olive Oil and Kalamata eating olives. Day to day farming operations are overseen by Dom who lives on the Island. While son Michael who lives in Adelaide, takes care of sales & marketing.